Fun stories and Rockin' songs help your child boost reading skills! 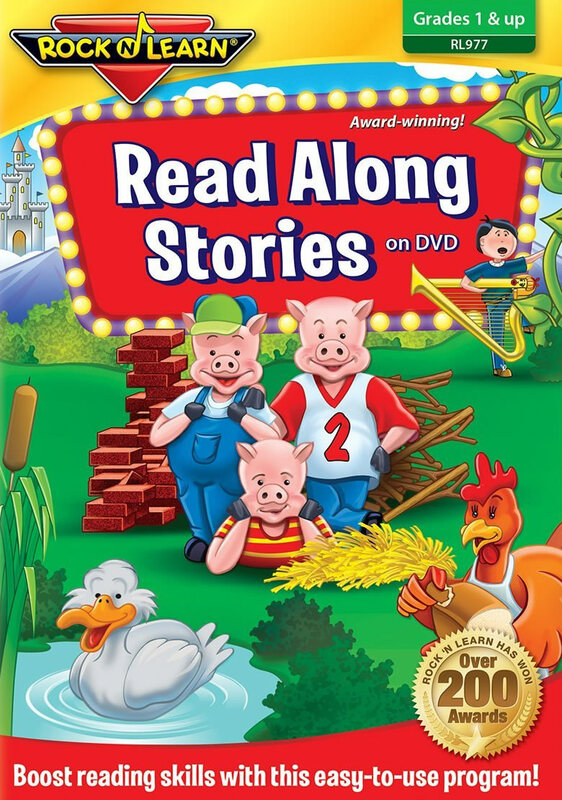 Students enjoy reading along with four classic tales written at a second-grade level. Fun, simple animation provides entertainment, while not distracting young learners from following along with the words on screen. After each story, students are rewarded by reading and singing a cool, rockin' song that reviews the story and presents more challenging words. Busy parents love this self-paced program for use at home or during travel. Teachers appreciate an effortless tool that addresses the need for individualized instruction. And kids delight in knowing that they are becoming better readers. Includes 4 stories and 4 songs. Perfect for Ages 6 and up. Running Time: 35 minutes. Song - "Little Pig, Little Pig"
Song - "A Beautiful Swan"
Song - "I'll Do It Myself"